KEN YUSZKUS/Staff photo. 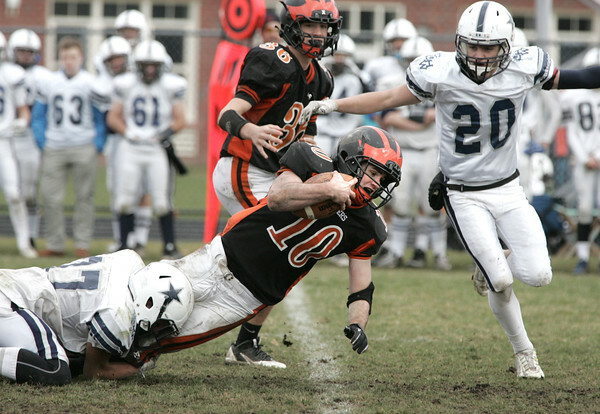 Hamilton-Wenham's Cam Peach brings down Ipswich's Jake Long during the Hamilton-Wenham at Ipswich football game. 11/26/15.